With its fatty acids, Castor Oil is popularly used in hydration formulas for dry skin and dry hair. 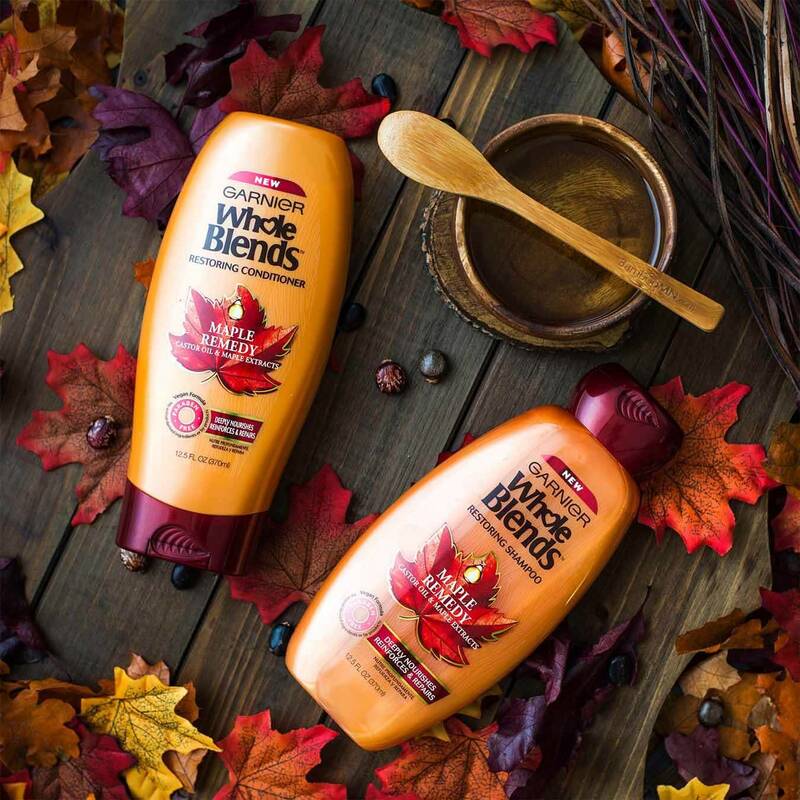 A natural source of antioxidants and minerals, Maple Sap has been used In hair care to help smooth strands. Rated 5 out of 5 by Gemdragon from Great Smell! 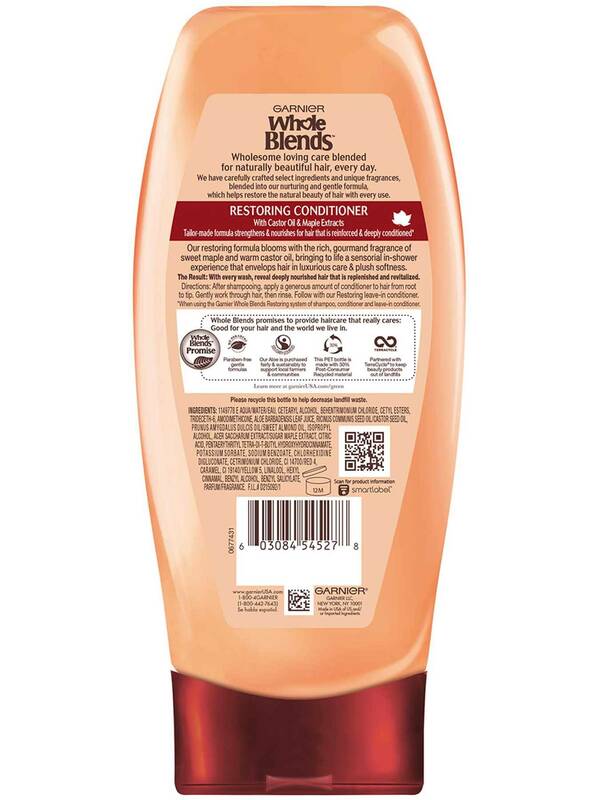 The only thing that disappointed me about this formula, is that it didn't leave my hair smelling like a bottle of Mrs. Butterworth's. LOL! Rated 4 out of 5 by annit2139 from It's a lovely product that made me hair (look) healthy and shiny. It also smells really nice even after the shower. 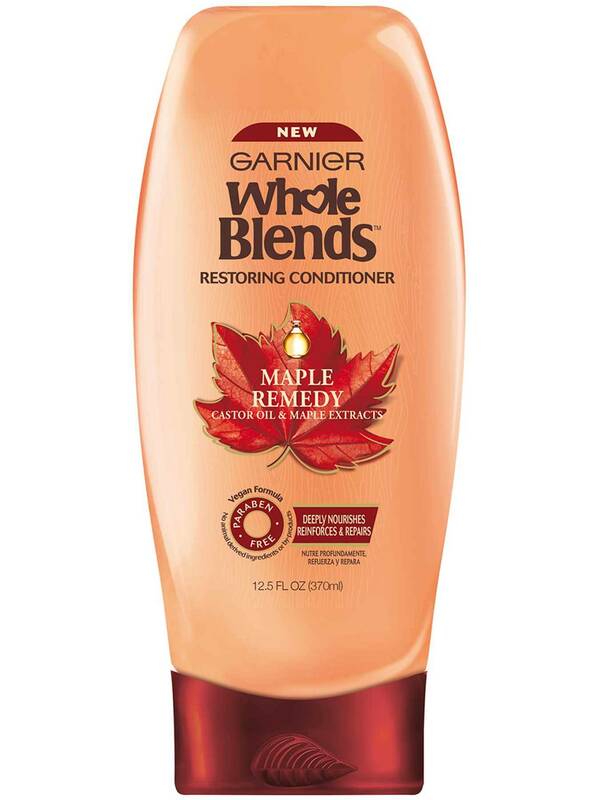 Rated 4 out of 5 by mireyao from Gabriel whole blends restoring conditioner maple remedy is affordable and leaves my hair looking soft and shiny. This conditioner isn’t the best smelling out there but that’s a personal preference I will definitely recommend to friends. Rated 4 out of 5 by beaches51 from I got this in a sample that was mail to me through pin me.I love it .I would recommend it .It works great leaving hair healthily and shiney.Im pretty sure this is the one to could leave in or wash out and always after you shampoo.And I was pleased with all three The results where amazing .I got it for free but I checked on the price in stores very economical also.So I'm currently using Matrix Bialoge I bought at ulta the liter size when it's gone gonna try this product.